There’s a small group of geeks who meet in a Nottingham pub once a month, to talk about electronics and projects and computers and … well, anything really. We show each other what projects we’ve been working on and get feedback. For the few months it has been running, I’ve found it enormously helpful. For one reason or another (holidays, family commitments) there were only three of us at the most recent meeting. I’m not sure how, but the conversation got onto our jobs. I found myself talking about finding my work increasingly difficult, worried I wasn’t up to it any longer, money being very tight at the moment … that kind of thing. Basically: I was having a moan. I’m blaming the beer. As the two gents in question are already selling their own kits (Spencer sells the RC2014 and Derek sells high-voltage kits that let you restart cadavers) their advice was sound, and well worth listening to. I had never even considered it before, but they were right! I design and make projects just because I want to – it’s my hobby. But it does require some money to fund. And many of my projects are self-contained, so they’d work in kit form. Other people might be interested. It’s unlikely to make me piles of money … but it would help me fund future projects, and (if successful) might turn into an alternative source of income. I’ve decided to test the waters with something simple: my Simple EEPROM Programmer in kit form. My blog visitor logs suggest it’s one of the most popular Google searches, and I’ve had a number of enquiries in the past from people who had difficulty getting their own experiments to work and wanted to buy parts from me instead. It’s early days, and I’m learning all this as I go along. But it seems worth a shot, and might be fun! And if it proves successful, then I really like the idea of thinking up new project ideas with the extra requirement of them being fun kits for other people to build. If you have any feedback, or any requests about what sort of thing you’d like to see as a kit, then please let me know. 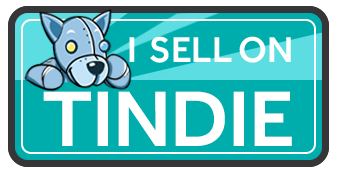 Click on the badge below to be taken to my store.